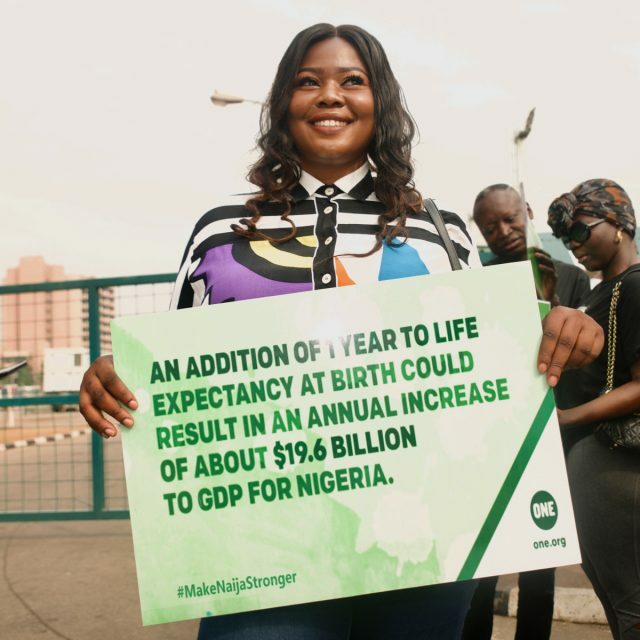 We launched Make Naija Stronger in Nigeria because it is one of the worst places in the world to be an infant, child or mother — one in eight of all children who die in the world under the age of five are Nigerian and 25% of the total number of deaths of children under five in Nigeria are newborns. We asked ourselves, how can 100 million Nigerians be empowered to transform their families’ health? By securing full funding of the National Health Act. 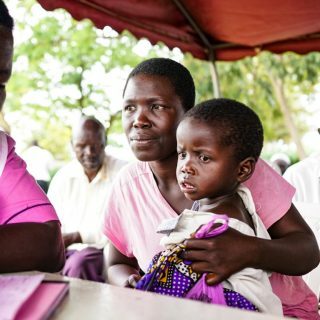 Full funding would deliver adequate, affordable health services for all Nigerians by providing basic health services, expand and upgrade primary health facilities, develop health human capital (especially at the primary health care level), provide essential drugs and begin the process of providing universal coverage. 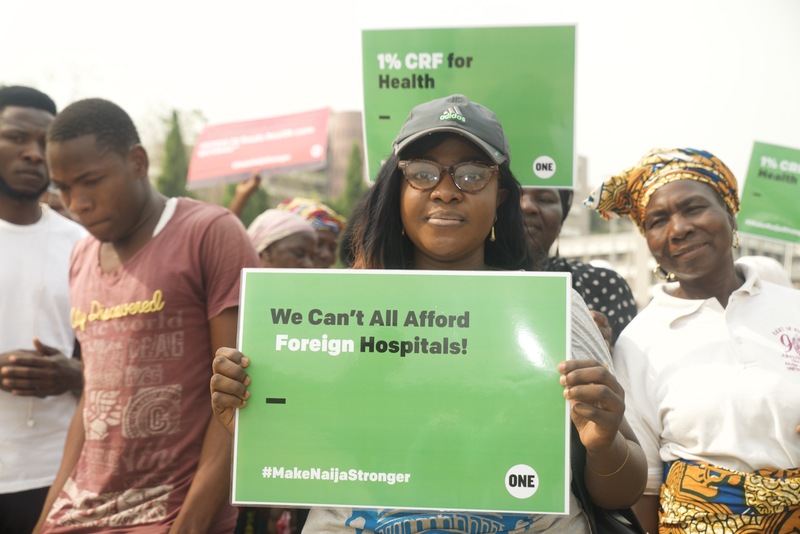 ONE members march on the streets of Abuja calling on the government to #MakeNaijaStronger. Since we launched the campaign in 2016, over 220,000 people signed our online petition to President Buhari demanding action to revive the healthcare system. Hundreds of people attended street rallies, thousands watched and shared our videos and members even marched to the gates of the National Assembly in February 2018 to demand action from Nigeria’s leaders. Our vibrant young ONE Champion activists, spread our campaign message to the nation’s grassroots, engaging citizens and lobbying state and local government officials. 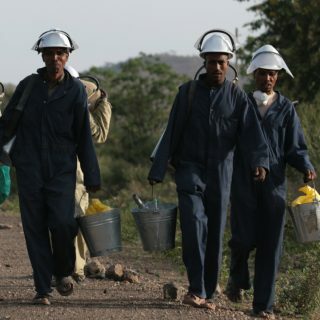 ONE also worked with numerous civil society and NGO partners to lobby and pressure the Federal Government. In 2017, over 30 of these partners signed an open letter to President Buhari demanding a quantum leap in health funding. ONE also worked hand-in-hand with these partners on over 130 advocacy meetings and public events carried out between February 2017 and May 2018. 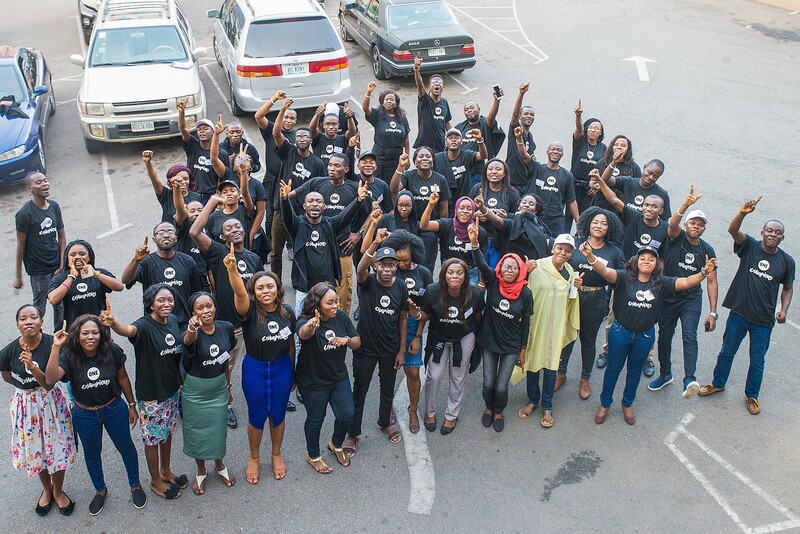 In June, we celebrated with our partners a momentous success in the #MakeNaijaStronger campaign. After two years of active campaigning, President Muhammadu Buhari signed the 2018 budget with N55.1 billion representing 1% of CRF for basic healthcare provision fund. Through this campaign, we realised: citizens have an effective, powerful voice — when they believe in an issue and pressure government to act, things happen. 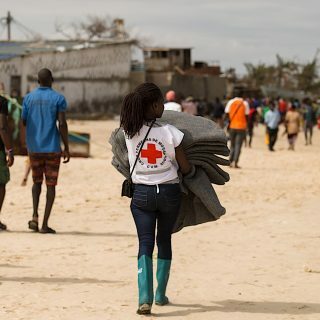 The most important part of this campaign has been the participation of incredibly passionate Nigerian citizens and influencers — like Waje, Ali Nuhu, Desmond Elliot, Falz, Basketmouth, Toolz, Yemi Alade and Kate Henshaw — who recognised that policy change was needed to address the country’s health sector. 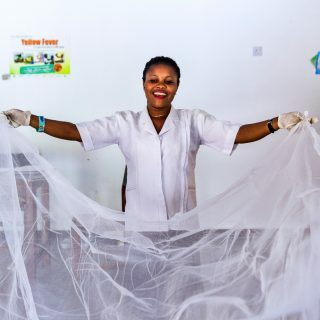 There is lots of work to do in order to turn these funds into healthy lives. We must apply the same vigilance, passion, inventiveness and doggedness to the important task of holding the Nigerian government accountable for the effective and transparent use of these funds and for the proper application of our national health policies. Only then can we expect to see lives positively transformed and saved. Join ONE now to start using the power of your voice to build a stronger world together.